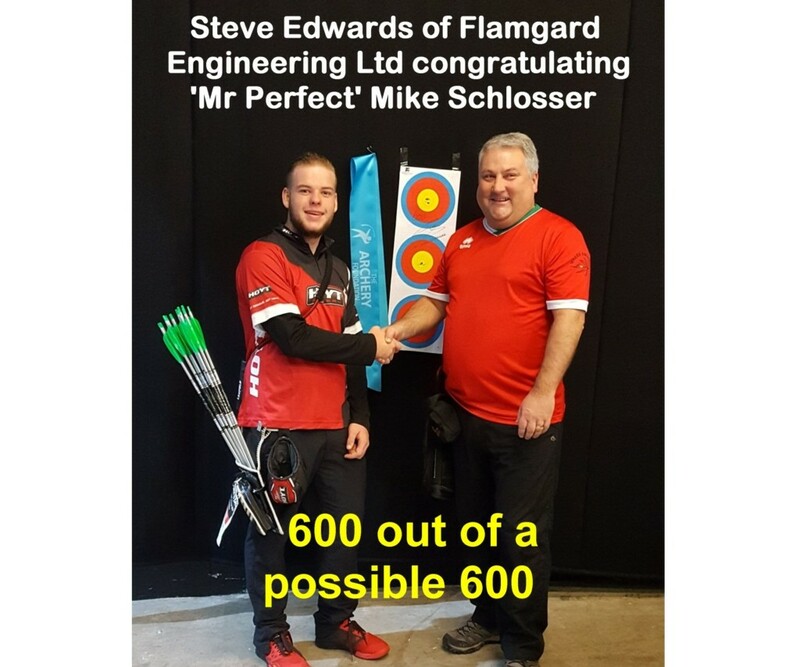 During the Back to Back event held on the Saturday of the 2017 National Indoor Championships Mike Schloesser from the Netherlands, nicknamed Mister Perfect, showed why he deserved that title by shooting the perfect WA18m Qualification score of 600 from a maximum of 600. 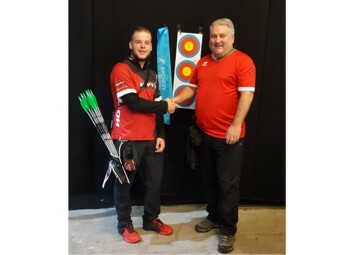 Then in a lovely gesture he signed the Target Face and gave it to the Archery Foundation which promptly started a bidding war which was eventually won by Steve Edwards, who was at the National Indoor Event on the Sunday where he was representing Wales in the Home Nations Tournament. Steve purchased it on behalf of Flamgard Engineering Ltd, the company who he works for, and is shown congratulating Mike who took the time to come over to the Foundation stand to hand it to Steve. It is understood the Target Face will now be framed and proudly displayed in the Company’s Headquarters in Pontnewynydd, Pontypool, South Wales.